Norwegian cartoonist and illustrator Bendik Kaltenborn has had a fruitful career in the United States working for publications like The New York Times, The New Yorker, and The Washington Post, and his talent as a visual storyteller is highlighted in the new graphic novel Adult Contemporary, collecting an assortment of comics and drawings from the last five years. 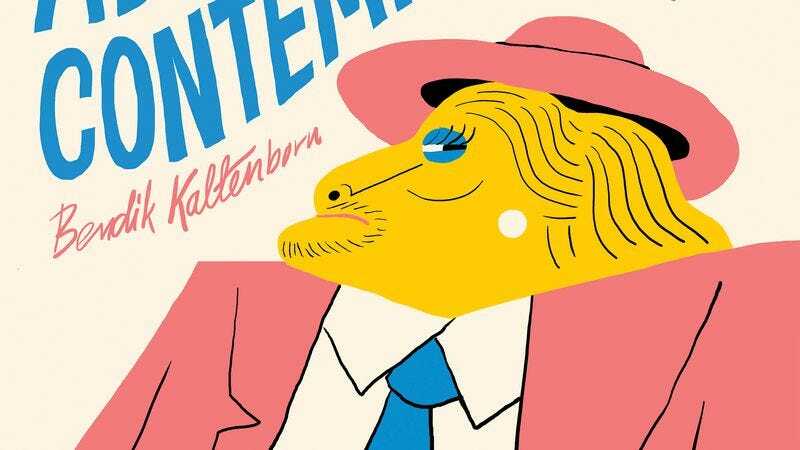 Full of absurdist comedy and surreal imagery, the book is a fascinating exploration of Kalternborn’s unique point of view, one that is extremely malleable, but always highly expressive. Richly detailed paintings are presented side-by-side with crudely drawn black-and-white comic strips, but it’s all distinctly Kaltenborn. This preview of “Our Heist,” a short comic about a true crime committed in 1983, shows the cartoonist in a minimalist mode, using clean lines and bold colors to detail the planning of the bank robbery. The simplicity heightens the animation of the characters, and throughout the book, Kaltenborn shows how much emotion can be mined from a stripped-down art style.